Tools: If you’re like me, you’ve stock piled several sets of every kind of tool you come across. And it’s done with good reason. If SHTF you’ll be able to barter for necessary items with the valuable tools you have. But I also like having extras of each type of tool to loan out to friends and give as “bond building” gifts to neighbors in need. Giving tools is a great way to build rapport and rapport is worth more than money, SHTF or not. Check this list of tools you will need when SHTF. Earthquakes & Tornadoes: These types of disasters are common and require an important but different set of skills than preparing for floods and fires. While doomsday isn’t here yet, one’s community might call on the prepper to use their search and rescue skills to locate folks after such events. Are You Prepared for the Biggest Social Unrest of Our Modern Times? In addition, with every governmental agency from the local water board, city government, state and federal advising us to prepare “3 days worth of food and water” one has to fly in the face of massive amounts of advice not to be prepared for some sort of emergency. I think 3 days is highly optimistic as it takes every government 3 days to organize a meeting to talk about a possible situation. Left coast; this comment by you, made me think of, The worst words to hear, is, ‘we are from the government, and are here to help”, Was that Reagan? AND gave me good laugh. Gov, is there to HELP themselves to our tax dollars, while doing nothing. 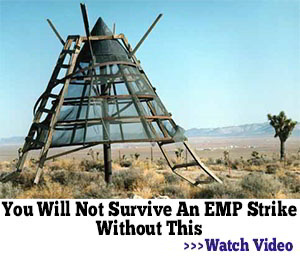 This is WHY there is talk of SHTF. I could collect a paycheck and just talk, and talk, and talk, from congress, then take a vacation, get a raise, and use my gym and other gov,. perks! Take off for every holiday. Perhaps we should consider ourselves lucky that congress takes so much time off. Think of the harm they could do if they had to report to work every day like the rest of us. The press used to heavily criticize Congressman Adam Clayton Powell because he spent most of his time in Washington actually in Bimini sport fishing. I have often said we need more congressmen like him because when he is on a fishing boat in the Caribbean at least he isn’t dreaming up new rules and regulations to our detriment. Everyone says 72 hours. If the big one happens someplace (i.e. New Madrid Fault) it will be 72 DAYS before some areas get the help they need. 72 hours may apply in the population centers, but the rural areas will be left to fend for themselves. If you want to read a really scary book, read “The Rift” by Walter Jon Williams. In it, the author sets a new earthquake along the New Madrid fault line. He interposes actual letters and newspaper articles from the time of the first New Madrid earthquake throughout the book. I thought we had earthquakes here in the peepuls republik but we don’t have earthquakes, we only have large trucks driving down the street. The 1812 New Madrid earthquake was an EARTHQUAKE! The natural events that the earthquake generated were mind boggling. Not considering the earth shaking almost daily for about a year with intermittent estimated 6+ Richter scale aftershocks; huge rents in the ground occurred; rivers flowed backwards; the Mississippi changed its channel; and the most unusual thing that occurred were sand volcanoes where gas escaping from the earth shot coal, sand, rocks, decayed wood and all sorts of long buried material considerable distance into the air. Of course because most of the Mississippi Delta is alluvial plain there was considerable liquefaction of large areas. The people living in the Mississippi Delta region thought they were living in hell and I would have thought that too if I were living at that time. All that in a region that was mostly rural without industry, just farming and the industry associated with an agricultural economy. Compare that with the way the region is developed today. An earthquake like the 1812 New Madrid earthquake makes anything that might happen in in Kallyforniya look, as I said, like a large truck driving down the street. I don’t know why Kallyforniya gets so much coverage when New Madrid has the potential for significantly greater impact on our whole country. If you live in the Mississippi River drainage area and you read “The Rift” I think you will put your house on the market and move to Parkfield, CA where the San Andreas runs through town and one side of the town is several inches further north than the other side. It’ll be a lot safer. Based on my reading of “The Rift” I would have to agree with Rick. 72 days might be a speedy response. There is a huge difference between providing aid for 50 to 100 thousand people and providing aid to 50 to 100 million people. If I recall correctly, shocks from the New Madrid earthquake were felt in Chicago and Washington D.C. How many millions of people live in the Mississippi drainage system? The 1812 earthquake started in December, so the river system wasn’t at flood stage. Had it started in the spring when the river system was at flood stage, the damage would have been even more severe. Great article, great comments, all. To add to our historical perspective on major past events, I recommend the book by John Kelly, The Great Mortality. Although the book follows the development of the second bubonic/septicemic/pneumonic plague from the middle 1300s that was later named the Black Death, the dramatic climatic events that preceded the plague are eye-opening, and bear silent witness to the whole idea of preparation for what may come. We can’t know whether we should guard against floods, earthquakes, tornados, fires, or the next pandemic. So we guard against all that our imaginations describe. I fear the lack of imagination of those in power more than I fear their power-mongering or evil intent. I’m a believer that modern government does not have the best interest of the population in mind. 72 hours is a joke when survival is at the stake. Even a lost job and depletion of income can be considered a shtf scenario. No, prepare for at least a month and work up to a year. Outstanding article from one whose great-grandparents came across on the wagon trains and homesteaded in Eastern Oregon because the health condition of their remaining livestock was such that further travel would have become a hindrance to long term survival. This past did generated some conflict between generations as the transition from horses power to HP ratings required more thinking outside the box as the younger generation tended to view older generational views of doing things the hard way. We were still prepared for the flukes of nature where others weren’t. Having a 17″ snowpack @ midnight disappear in about 5 hours when encountering a warm Chinook wind where the temperature raised from 30 degrees to 60 degrees in a couple of hours and is grievously deleterious to gravel roads did reinforce the wisdom of purchasing our first 4W Drive. That prep validation has stuck with me and hopefully that lesson was passed onto my children and grandchildren. Excellent article. Now…can anyone give reasons not to prepare? I don’t think so…. Prepping is a lifestyle for me now. It is always considered an investment and can be passed down to your kids. For a large area disaster, maybe 72 days might be the case, not 72 hours. You didn’t mention hurricanes, in your reasons. Look at the response time for many hurricanes and it is days if not weeks. Same with massive flooding.Some snow/ice storms leave areas without power for days/weeks. All of these require methods of preparing and cooking foods, getting portable water, disposing of waste/toilet. I have family in hurricane areas, that believes that god will provide, and they don’t need to prepare, nothing I could say or do changed their mind. If the worst happens, they will die, but that is their choice. I’m being a bit flippant here, but as to 11, i really don’t think I’d want to get intona “bug-gout” vehicle. Has anyone else ordered the prepping books and not received the hard copies? Storing these books in the cloud makes them useless when the cloud and everything else goes down. Mt plan is a tablet with micro SD cards and a solar charger. I will get a hand crank dynamo for a back up charger and all with other gear in a Faraday cage. My son says the SD cards require regular use to stay charged to keep the data stored intact. In our conversation on data storage, it became apparent to me, that a book or scrolls properly stored will pass info the longest. But then there are cave paintings and chiseled for the ultimate long lived medium.